This past November, Wisconsin experienced its first presidential election in which voters had to present a photo ID at the polls – a requirement put into place to address the nonexistent problem of "voter fraud." There is little doubt that Wisconsin’s extreme and restrictive voter photo ID law disenfranchised tens, if not hundreds, of thousands of eligible voters who did not have one of the few forms of ID acceptable for voting, such as a Wisconsin driver license or state ID card. Among those most negatively impacted by the requirement were seniors, the poor, citizens of color – and college students (primarily students from out of state). 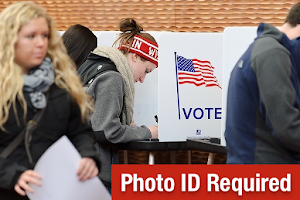 A college student ID card is listed as an acceptable ID for voting; however, a student ID can only be used as a voter ID if it was issued by a Wisconsin-accredited institution and the ID includes a photo of the student; a signature; the date it was issued and the date it expires. Further, the student ID cannot expire more than two years after the date it was issued... but, the ID can be expired (thanks to a federal court ruling in late July 2016). Unlike any other form of ID used for voting, a student ID requires additional documentation in order to be used as a voter ID: students must also bring (or show electronically) proof of current enrollment, such as a tuition statement. The majority of student IDs issued by Wisconsin colleges and universities do not meet the criteria for use as a voter ID. According to research conducted by CC/WI over the last year, the standard student ID at only three of the University of Wisconsin's 13 four-year schools, at none of the UW System's 13 two-year schools and at only seven of the state's 23 private colleges can be used as a voter photo ID. Separate “Voter ID cards” are available upon request at the 23 UW System schools, and at nine of the sixteen private colleges, whose standard student IDs cannot be used as a voter ID – but students must take action in order to get one of those college-issued voter ID cards. When other IDs are presented as voter ID, poll workers are instructed to only look for a voter’s name, photo and the ID's expiration date (if one is required); conversely, when examining student IDs, poll workers must also check for the criteria listed above – including a signature. Note that some of the other acceptable IDs do not even include a signature (e.g., some Tribal ID cards) and those that have one, do not need the signature's appearance on the ID verified when voting. Bottom line – as a result of Wisconsin's strict voter ID law – college students are treated differently, facing unnecessary barriers to voting. This deliberate disenfranchisement is wrong and must be addressed; we should be encouraging civic participation by young voters, not preventing it. Earlier this week, the U.S. Supreme Court declined to hear an appeal of a federal court decision overturning North Carolina's restrictive voter ID law – sending a strong message nationwide that such voter suppression measures are unacceptable. 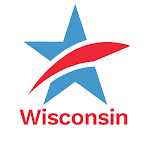 CC/WI calls on our State Legislature to address the obvious, excessive burden Wisconsin's voter photo ID law places on college and university students by removing the unnecessary restrictions placed on those who use a student ID as a voter ID. Even college students in Alabama need only present a valid student ID to cast a ballot. A voter photo ID is supposed to prove who you are. That's it. CC/WI Calls for Removal of Restrictions on College Student ID as Voter IDTweet this!